From a proposal in a hot air balloon to a perfectly planned wedding, Akanksha and Mayur's nuptials in Mumbai were vibrant with color and cheer. 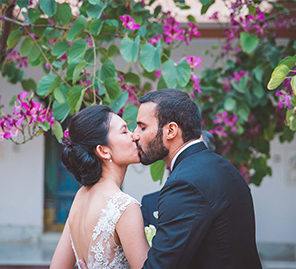 Akanksha and Mayur’s sweet love story was followed by a grand wedding in Mumbai. 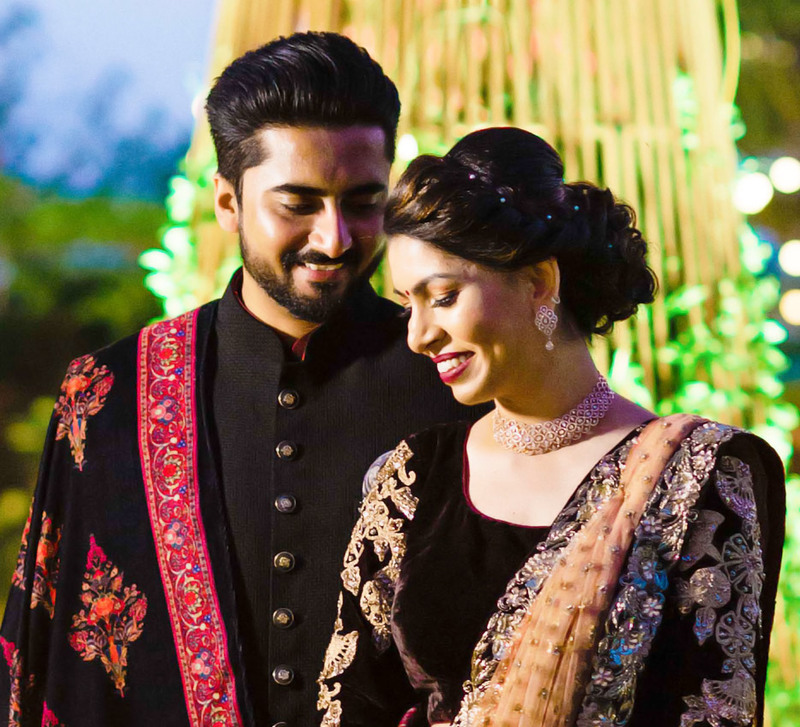 The bride shares with us the highlights of their wedding and pictures clicked by WeddingSutra Favorite - The Wedding Saga. “Our love story is not known to many people. Mayur and I met at our tuition classes and became really good friends over time. He was single so I would always try to set him up with girls from other batches but little did I know that Mayur was interested in me. He confessed his love for me during a class and held my hand under the bench. I said 'Yes!' and our relationship commenced from there on." The elegant mehndi decor, customized to the couple’s taste, featured a traditional mix of orange and yellow florals which looked fresh and apt for the day function. The color palette for this function included bright colors such as yellow, orange and pink. Pretty drapes added a charming carnival-like vibe to the environs. The couple wanted an evening of subtle elegance with a big dose of glamor, so the decor included rich drapes, chandeliers, a dream catcher, beautiful bird cages and warm lighting with plays of light and sparkles thrown in. A stage built especially for the evening hosted a series of performance by the couple and their guests and the night was a grand success. “Before the pheras, we did a bridesmaid shoot which turned out to be amazing all thanks to the talented team of The Wedding Saga. 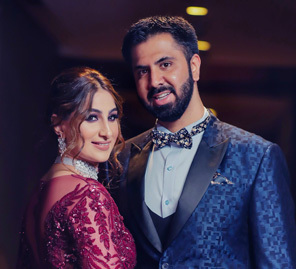 All my wedding decor ideas were conceptualized by my bestie Sneh Panjwani who helped me with the minute details, and we kept it within a budget,” shares Akanksha. 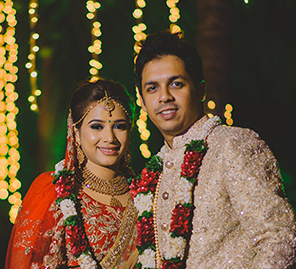 For the pheras, the couple kept the decor traditional with fresh floral arrangements. The beautifully decorated mandap was the perfect place for the serene nuptial rituals. With traditional colors, white and red prevailing across the decor, the bride was on trend in a powder pink ensemble with red borders paired with a matching dupatta over her head and stunning jewellery. After the sophisticated ceremony, as evening fell, the couple walked into the next chapter of their lives surrounded by their closest family and friends."